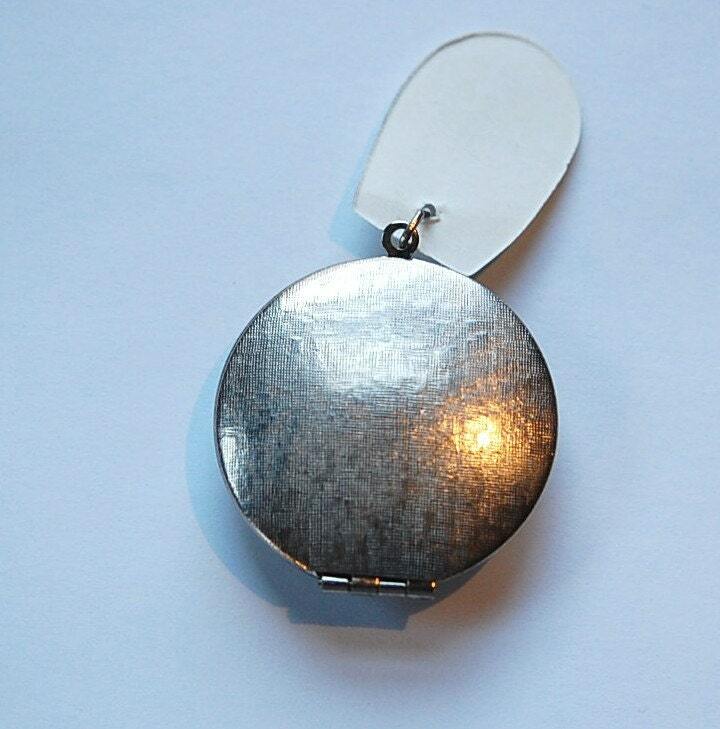 This is a vintage round locket that is silver plated. 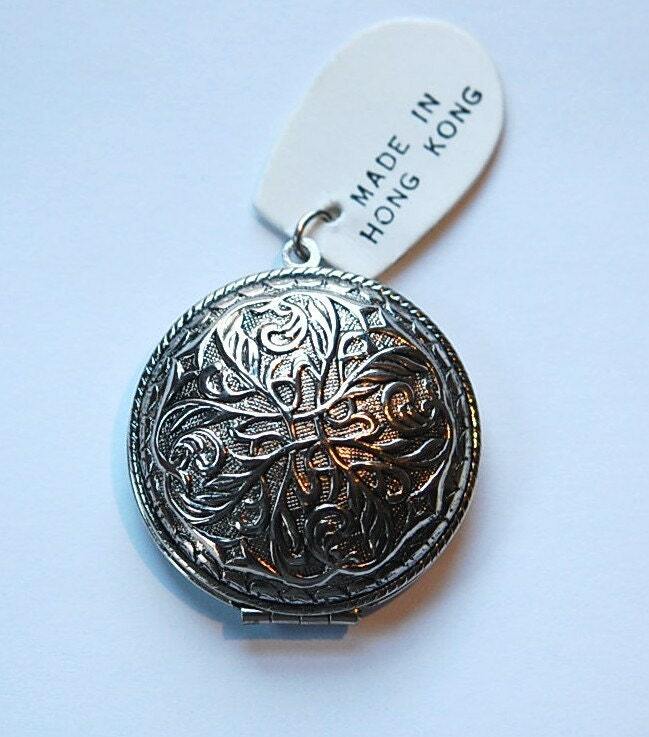 There is an etched design on the domed front and the back is lightly rounded with the look of brushed metal. This measures 35mm high with the loop. The recessed area inside measures 22mm at the widest points. Just about all of these have a Made in Hong Kong tag and a jump ring attached to the loop. You will receive one piece. Need more? Convo me for a reserved listing. 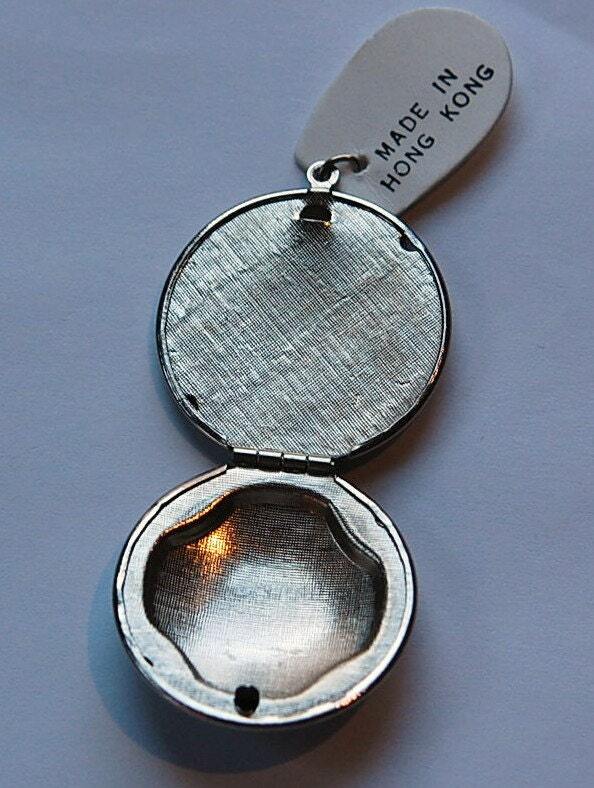 Happy with locket. Made it into a necklace. Thank you!